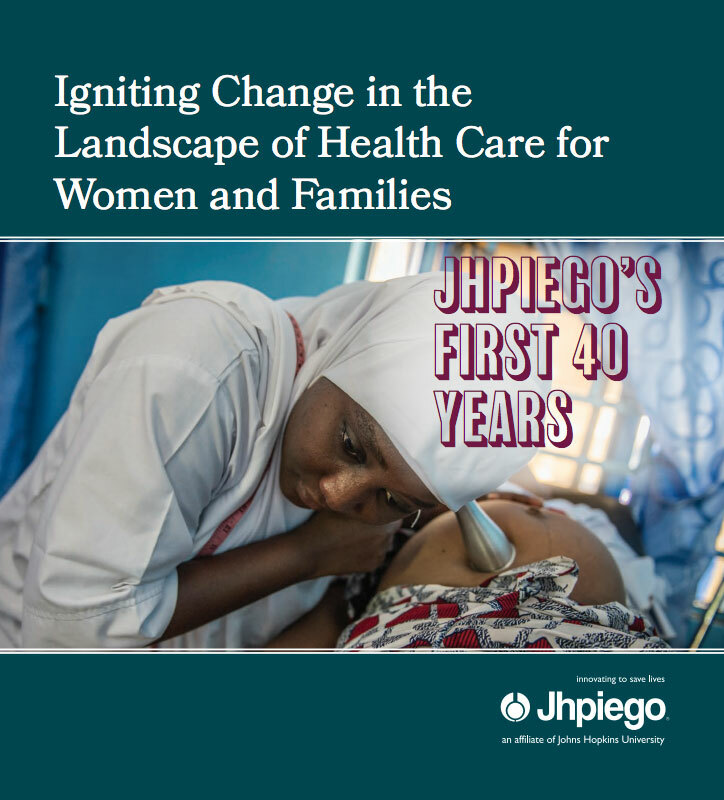 Jhpiego’s role in maternal and child health has expanded dramatically over the years, increasing its emphasis on nurses and midwives as primary care providers. From 1998 through the present, Jhpiego has led three of USAID’s global flagship programs: the MNH Program, followed by the ACCESS Program—both of which focused on maternal and newborn health—and currently the Maternal and Child Health Integrated Program (MCHIP), an expanded program that focuses on maternal, newborn and child health. Jhpiego’s dedicated teams of technical experts—in the areas of global learning; family planning/reproductive health/cervical cancer; maternal, newborn and child health; monitoring, evaluation and research; health systems strengthening; HIV/AIDS and infectious diseases; publications; and knowledge management—are renewing their efforts to pursue and disseminate practical, low-cost innovations that can make significant contributions to the health of women and their families. As Jhpiego moves forward, its staff will continue to respond to changing needs in the field, and they will continue to ask: How can we save more lives?